MAURICE Jean Leonard Loustau-Lalanne was appointed Minister for Tourism, Civil Aviation, Ports and Marine for Seychelles on December 30 last year. TTN’s own Kim Thomson met him and interviewed him at length. How was the performance for Global Tourism Arrivals in 2016? We finished 2016 with 304,000 tourists, an increase of 10 per cent on 2015. Tourism expenditure also rose by 5 per cent. All in all, it was a historic year for us. How is the first quarter of 2017 looking? In terms of numbers, it is more spectacular than 2016 because we currently up 18 per cent on last year’s first quarter at 107,000 tourists already. In terms of expenditure, it is at level peg at 1.8 billion Seychelle rupees. So, I am not too happy with that, having an increase in numbers, but not necessarily an increase in spend. What would you contribute this to? I think that the visitor expenditure is much more than 1.8 billion rupees. The standard reporting is the foreign exchange at banks, so maybe they use more their credit cards, so we need to improve on our statistical collection where it involves expenditure. Your expectations for the year? The Seychelles Tourism Board targets is 5 per cent increase on 2016, therefore, so far, we are doing extremely well in relation to that target. So, it is important that they review this, but I feel we will do better than the forecast. Which countries in our region are important to you in terms spend and overnight stays? I think all the countries in the GCC are important to us because they are all are on the upper end. The UAE so far gives us 7,000 to 8,000 visitors a quarter and together with the other Middle East, it is about the same, so Saudi Arabia, Kuwait, Qatar, Lebanon, Bahrain – those sorts of countries also have a big pull of around 6,000. Putting these together, they are performing as well as our French or German markets, which are our traditional number one marketing. So, the Middle East is gaining a lot of importance, it is at the right level to bring a good spend to the Seychelles – so they are an excellent market segment. 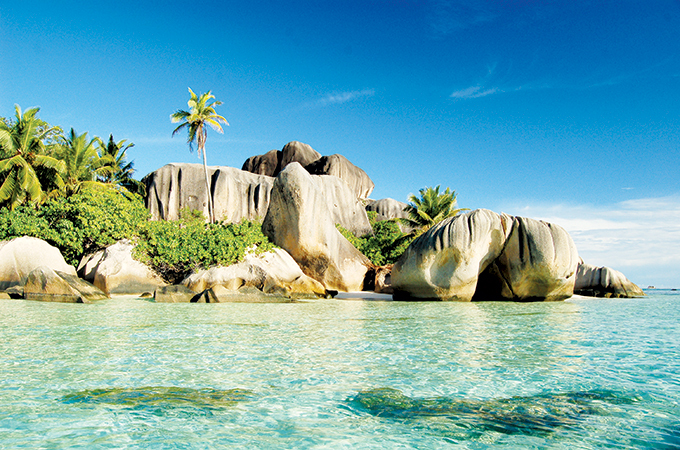 What is the most important news from the Seychelles for the Middle East market? There has been some discussion in the Seychelles regarding a halal product. I do not have an investor yet to go down this line, but it is something that we are considering. As for other news, I think we have some hotel properties that require refurbishment and renovation and this will be happening. There are one or two hotels that will be shutting down. One in September and reopening in February 2018 with a total revamp and small extension. There is another, that will be demolished and rebuilt and there will be a contract with a Middle East company to manage this new property. We are also in discussion with another Middle East investor next to the existing property, where the same thing might happen with a tear down and a rebuild on the same site with new hotel stock. So therefore, is this more of what you’re looking at rather than new builds on new sites? We have at the moment a moratorium on new hotels, except for 80 hotels that were already approved and committed by the government, but we need to ensure that these hotel investors get a bit of a move on because for some time now, they have had the approval and have yet to move to the next step. So, this is my business to make sure they start because we talk about the tourism performance being on the up, so if there is a time to do it, this is the right time.